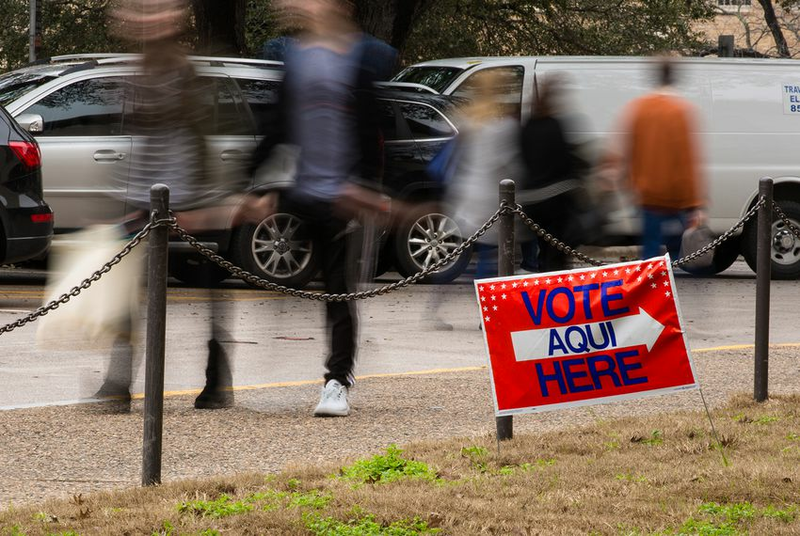 In all of the attention paid to low voter turnout, this got lost: Millennial Texans made up only a small part of the electorate in this year's Democratic and Republican primaries. Derek Ryan, a young Texas voter who also happens to be a political consultant, is finally starting to see some of his peers talking and posting about politics and showing up on lists of voters. It’s taken long enough: He’s in his early 40s. He also has crunched the numbers, finding that his anecdotal experience is not anecdotal at all. Younger Texans aren’t voting, and it’s particularly bad in Ryan’s own party, the Texas GOP. In the 2018 Republican primary in March, voters over the age of 70 outnumbered voters under the age of 50. More than three-quarters of the voters were 50 or older, Ryan found in his analysis of voter turnout. In this year’s Democratic primary, grandchildren outnumbered grandparents, with voters under the age of 40 outnumbering those over the age of 70. Even so, more than 60 percent of the Texans who voted in the Democratic primary this year were over the age of 50. Ryan said the poor turnout of Texans under 40 means those voters are handing control to older Texans. “In many parts of the state, primaries are where the real elections are held,” he said. In the primaries, the average Democratic voter was 54.5 years old. In GOP primaries, the average age was 60.1. Democrats had a good year in terms of turnout, relatively speaking. They were outnumbered three-to-two by Republicans, but that was an improvement over recent elections. Democrats doubled their 2014 primary turnout this year, despite remaining a smaller party than the GOP. They’re also the younger of the two parties by a good margin. While only 11 percent of the GOP’s primary voters were under the age of 40, that group made up 23 percent of Democratic voters. In sheer numbers, it’s a bit closer, with the Democrats still ahead: 257,917 Democrats under age 40 showed up for the primaries, while 179,113 Republicans in the same age group voted. Baby boomers ruled the day in both parties. Among Republicans, voters between the ages of 50 and 70 made up 47 percent of the turnout; among Democrats, they accounted for 41 percent. Add in another decade, including everyone from age 50 to age 80, and you’ve accounted for 68 percent of Republican voters and 56 percent of the Democrats. In general elections, the age gap — though not identifiable by party — persists. In 2016, more than half of the general election voters in Texas – 56 percent – were between the ages of 40 and 70. Voters under 40 made up 29 percent of that electorate., while voters over 70 years of age accounted for just over 14 percent, by Ryan’s reckoning. That last number is slightly larger than the proportion of voters under 30. In general elections, the biggest single chunk of voters — Ryan has them sorted into decade-sized groups — was voters in their 50s, followed by 60-somethings, 40-somethings, 30s, 20s, 70s and 80s. Voters in their teens outnumbered voters in their 90s by a four-to-one margin, giving the youngest voters their one victory in this turnout derby. If you’re looking for signs of enthusiasm, the growth in this year’s primary turnout offers mixed signals at best. Nearly 27 percent of this year’s Democratic primary voters didn’t vote in the four previous primary elections. In the GOP, 14 percent were new to the March contests. But they were voters — just not in primaries. Just over 5 percent of the voters on the Democratic side hadn’t voted in any primary or general elections starting sincein 2010; fewer than 3 percent of the Republican primary voters were first-timers. It’s not just that voter turnout in Texas is anemic. To a great extent, Texans cede their political choices to their elders.